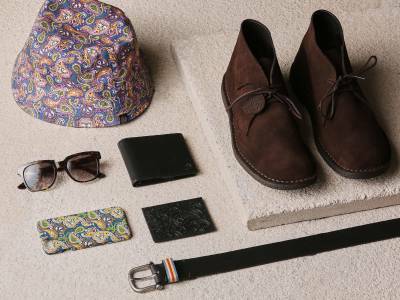 If you like to stand out or whether you’re into something a bit more subtle we provide you with ways to wear the paisley print. Wearing two or more contrasting paisley prints together. 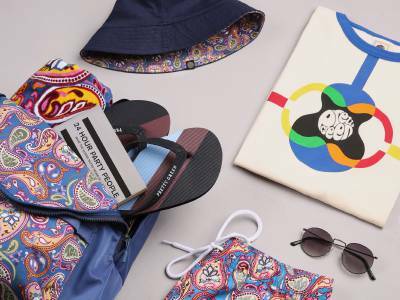 This can be done by combining a bold print with a much more subtle print piece. The key here is to make sure that the prints vary in size and colour. 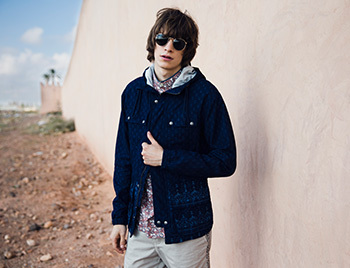 Try the multi-colour paisley of the Leaside shirt with the toned down vintage print on the Printed Tarbet Jacket. The best looks are created by adding in a rich, printed piece and then working around it with a stripped back monochromatic style. Pair a statement paisley shirt with a simple outerwear piece such as the Stone Shuttleworth jacket. Adding in that small flash of print on a garment such as a contrasting pocket or collar is a great way to add some colourful detail to an outfit if you aren’t into making a statement. Accessories offer a really subtle way to incorporate a print to your look. Add in a paisley scarf to an outfit to instantly update a look with colourful detail.